Pervasive mobile health is mobile health that provides healthcare services that are accessible regardless of time and place where patients can continuously be connected through their smart mobile devices. It offers healthcare providers a more comprehensive perspective of patients' conditions and thus aids in achieving complex healthcare goal(s) such as building lasting relationships with patients. The service can be further extended to accommodate customers' participation in health and healthcare processes to improve healthcare services by extending roles of patients. The advancement of the web technologies, especially social networks, push e-health to embrace mobile devices (m-health) and personalize customer-centric services with a possibility to extend and improve services by enabling active participation of patients, patients' families, and the community at large in healthcare processes and personal health decision making. 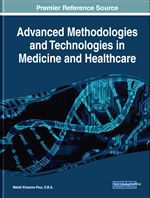 This chapter addresses some important concepts of m-health, challenges, future trends, and some related terminologies to provide a holistic view of m-health. Currently almost every healthcare organization depends on information and communication technology (ICT) in every level of their activities. One of the most valued aspects of ICT is its capability to enhance processes or functions to improve consistency, accuracy, and efficiency. Similarly, efficient and effective healthcare services have become increasingly dependent on accurate and detailed clinical information, which is transferred from interrelated departments or even between organizations (Conrick, 2006). In addition, people’s demands have changed because they have been empowered by the vast amount of information available and accesible to them through smart mobile devices, including mHealth related services (Anshari et al., 2013). For example, half of smartphone owners in US use their devices to get health information and one fifth of smartphone owners have health-related apps (Fox & Duggan, 2012). Despite some limitations of smartphones (Koushanfar et al., 2000), they can be used as services platform for mobile health information delivery, access and communication (Nkosi et al., 2010).